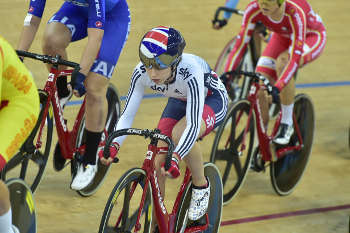 Cycling legends Sir Chris Hoy and Chris Boardman, alongside Rio 2016 cyclists including Olympic champions Laura Trott and Jason Kenny, have called for Theresa May to devote 5% of the Government’s transport spending to cycling infrastructure and to set targets to improve road maintenance. Their letter says: ‘The best way to honour the achievements of our athletes would be to create a legacy of every-day cycling in this country – a place where cycling is the choice form of transport for people to get around in their daily lives. Mr Boardman is a policy adviser for British Cycling, and has campaigned for safer cycling routes. In July his mother was killed in a road accident while cycling. Separately, London mayor Sadiq Khan, and Transport for London (TfL) today confirmed that they will proceed with extending the north-south cycle superhighway, which it claims has the support of 70% of the public. TfL said the cycle lane, also known as Cycle Superhighway 6 (CS6), will provide ‘a safe and direct route’ for cyclists across central London between Elephant and Castle and King's Cross. The route will be 5km in total and either fully separated from traffic or on ‘quiet back streets’. At its northern end, the route will connect both with the planned Quietway 2, and Central London Grid routes, allowing cyclists to travel to Hackney, Walthamstow, Camden and Swiss Cottage and ‘opening up the city to cycling’. TfL said it will ensure that plans for construction take on board lessons learned from the previous routes. This includes a construction timetable that is fully coordinated with other roadworks and the potential for more night-time working to complete the work faster.